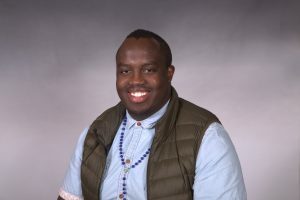 Research Interests: Lidar, Planetary boundary layer, Data processingWambugu joined the UMBC Atmospheric Lidar Group in May 2018 His research project consists of comparing ceilometer backscatter data to gain a better understanding of instrument limitations and what is necessary to work around these limitations for the establishment of remote sensing networks. The locations of the ceilometer’s central to his research are in Baltimore and Beltsville, Maryland. Wambugu is a NOAA NCAS-M fellow and his research in collaboration with Howard Universtiy’s Belstville Campus. In addition he manages databases and server administrator for the group. His hopes with this project is to create a web site that can be easily accessible and will be able to give visitors of the site the ability to quickly and easily access lidar data from several different stations. At Howard University’s Belstville Campus, Wambugu is assisting with reviving old instruments on the campus that are no longer in use to benefit future researchers at the site. Currently he is working on setting up MFR solar radiometers and creating easy to follow instructions on how to set them up. He hopes his instruction manual will become a new standard and help future users of the instrument.